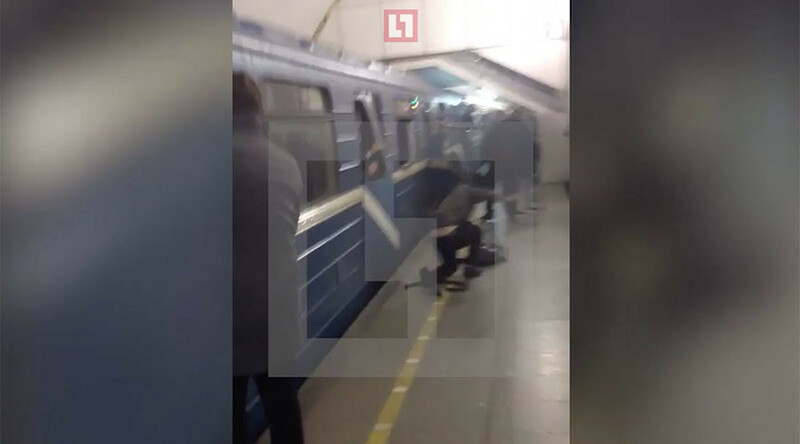 Amateur footage has emerged from the immediate aftermath of Monday’s explosion in the St. Petersburg Metro, showing passengers desperately trying to escape from the burned-out car, while victims are dragged out and laid on the platform. 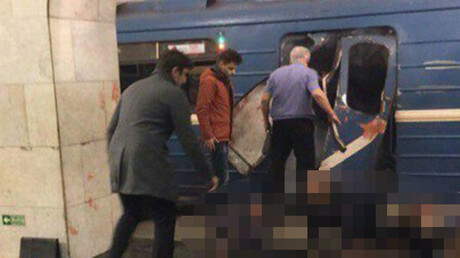 The two-minute video, posted by Russian media outlet life.ru, shows the train after it has come to a standstill at Sennaya Ploschad, seconds after the blast which killed ten and wounded over 50. Piercing screams can be heard, as passengers prize open the metal doors, and clamber out of the blown-out windows. Some passersby, evacuating from the undamaged cars, stop to help the survivors of the blast. “Give me your hand! Give me your hand!” shouts one man as he helps several people climb out. Several immobile bodies are laid down in a row outside the train, and men clad in civilian clothing pull them further away from the twisted shell of the car. “Horrible! Oh my God,” says a voice in the background. “Do you need any help? Shall I call you an ambulance?” asks a man with a blood-covered hand. Some survivors wander about aimlessly, possibly still in shock from the impact. A few of the passengers from the other coaches stop to help, others move hurriedly, but without panic, away from the scene of the explosion, which is being investigated as an act of terrorism. More wait around on the platform, unsure how to help, or filming with smartphones. A woman, her face covered in blood and tears streaming down her face, repeats that she “was just sitting near the blast,” as the author of the video implores her to calm down, and says that he will take her out into the fresh air, and then the recording stops.